…but when a weighty college decision perched on her path, it seemed to get in the way rather than offer flight. So her irrational inner performer took control of the reins! Before she knew what’d happened, she’d won an audition for a military band. 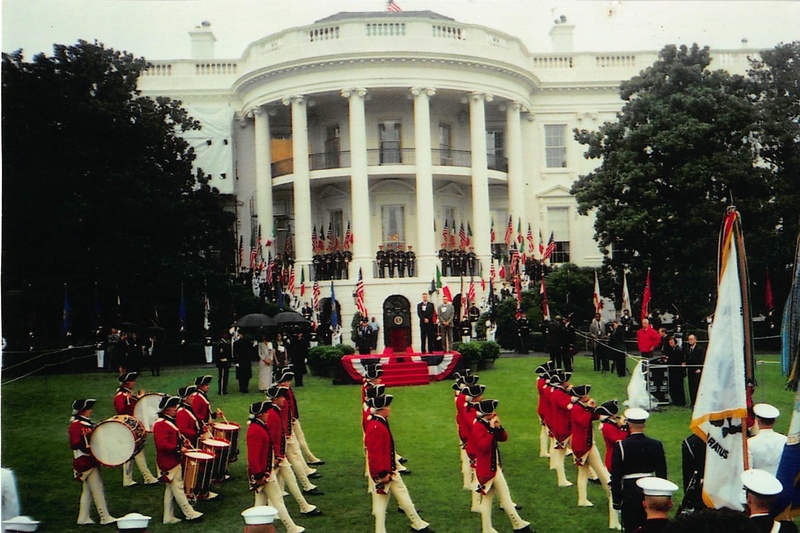 At Fort Campbell Kentucky she supplied troops with a variety of musical entertainment, from woodwind quintet to Top 40, before a nauseating audition won her a transfer to Washington DC to join The Old Guard Fife and Drum Corps. There she was morphed by the compelling philosophy of The Artist’s Way (Julia Cameron) and mentored under the guidance of an unobtrusive life guru. She was able to let go of the more competitive aspect of being a professional musician and get on with the creativity – thank Good Orderly Direction! Meanwhile, the corps got her interested in historical and traditional music as well as simple system flutes, and reconnected her with a seedling dream of playin’ fiddle. She pursued these interests eagerly, but when the United States waged war on Iraq, she decided not to lend herself to the cause and soon left the service. A 10 month backpacking sabbatical in the west of Ireland matured Christie’s passion for wooden flute playing and traditional Irish fiddling. She traveled alone, met people, played music on streets and in pubs, and wrote endless pages. Extended solitary habitat in a deserted horse stable brought spiritual revelations and lots of songs — surprisingly contemporary songs. Upon returning to the United States she recorded her first album, Lockdown, a series of compositions in a variety of genres reflecting her various musical interests. In a bold experiment, Christie laid down her instruments from 2005-2008. Making space to discover a new passion and exercise her skill set as a caring human being, she devoted time and energy to the art and science of midwifery. Learning about pregnancy, birth, herbal medicine, client advocacy, and body autonomy helped her explore ideas about nature, feminism, and her own life as a mammal. After a few years of study through the National Midwifery Institute and an intense internship at a high volume borderland birth center, Christie was very tired. She sighed contentedly at the thought of her flutes, thinking of all the innovations to come. Anne Frye’s Holistic Midwifery and other such texts were placed lovingly on the back shelf, and this time, rather than a baby, a renewed devotion to music was born. To begin the transition back home, she earned a BA from UC Berkeley, with a focus on ethnomusicology. Christie is currently in the woodshed, thinking about sound and growing into a new musical style. She spends her days pushing the limits of systems until they are stretchy enough to encompass her own creative direction, and she moonlights with the contemporary traditional dance band, the wiNgNuts, playing for contra dancers around the Bay Area. Her work is primarily focused on neo-traditional tunes, but she also experiments with multiphonic flute playing, grappling some heinously difficult counterpoint. 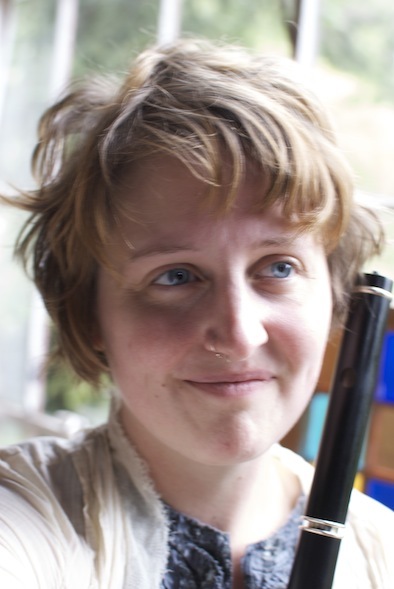 Christie is very interested in ways in which the flute can stand alone as a solo performance instrument, and works under the influences of Jean Michel Veillon, Niall Keegan, Greg Pattillo, Bruce Molsky, Liz Carroll, Väsen, and Le Vent du Nord. She resides in Berkeley where she enjoys fluting, experimental music, gardening, indulging in overly-rich coconut tapioca pudding, going barefoot, cracking cardamom pods, oddity, doing yoga, making tea, making messes, creative writing, glasswalking, and feminist health education. And chopping firewood. Lots of firewood.